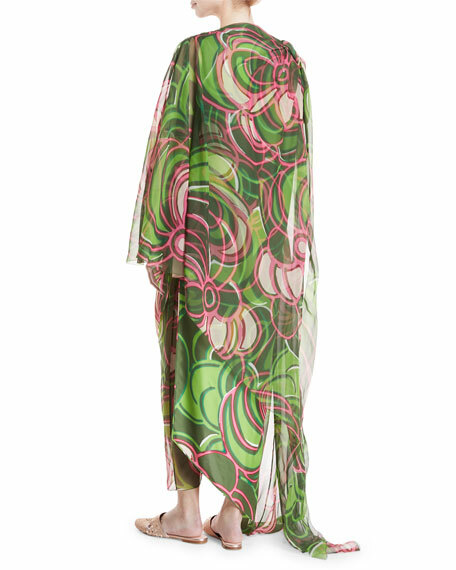 Marc Jacobs pants in printed organza. For in-store inquiries, use sku #2461901. 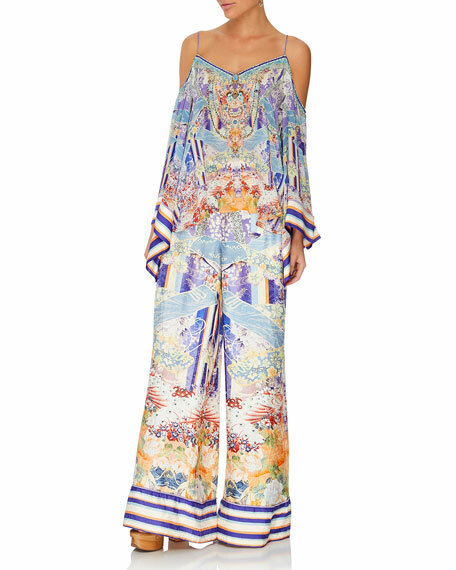 Camilla printed silk pants with crystal embellishments. High-rise waistband. Side pockets. Fitted through wide legs. Oversized striped cuffs. Full length. Pull-on style. Imported. 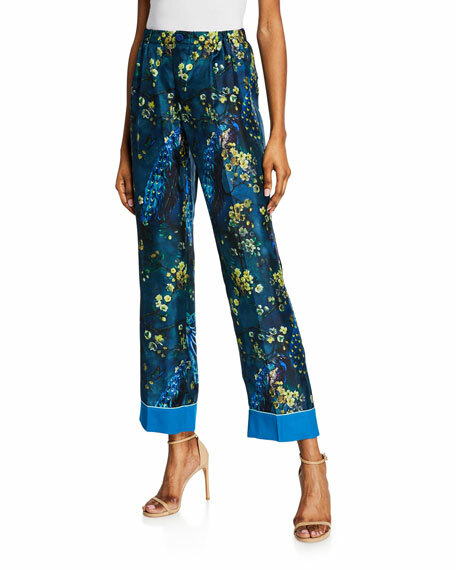 F.R.S For Restless Sleepers pajama-style pants in silk twill with peacock and flower print. Mid rise; elastic waistband. Back patch pockets. Straight legs. Contrast bell bottom cuffs. Full length. Snap fly. Silk. Made in Italy. Incotex chino pants in yarn-dyed drill. Quarter top pockets; back button-welt pockets. Regular rise. Flat front. Straight leg. Button/zip fly; belt loops. Cotton. Imported of Italian material.